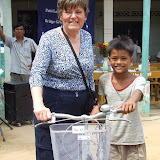 Rotary Wheels for Learning: Surpassing Our Goal - 1097 Bicycles Distributed in Cambodia by Rotarians and Friends! 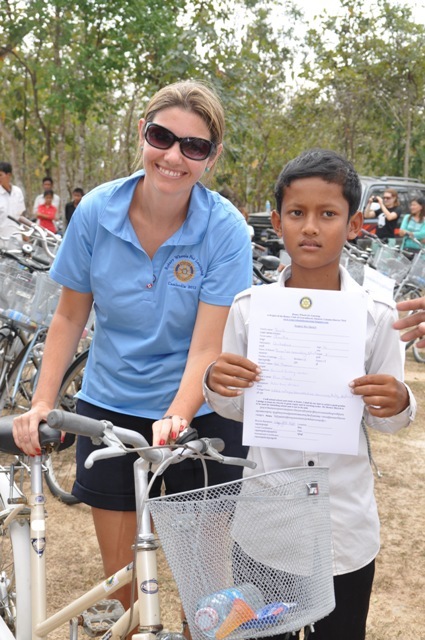 Surpassing Our Goal - 1097 Bicycles Distributed in Cambodia by Rotarians and Friends! 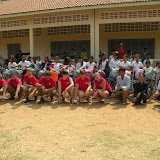 Rotarians & Friends Working Under the Brutal Cambodian Sun! It wasn’t all about bicycles either! – Our Team brought over suitcases of donated items that were distributed throughout our bicycle distribution locations. Many thanks to Barbara Seagram, Patti Lee and their Bridge Group from Toronto for their many donated items. 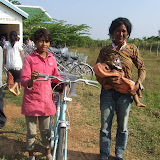 You, or your group of Friends, can join our January Cambodia 2013 RWFL Bicycle Distribution Trip! Email us for further details at: rotarywheelsforlearning@gmail.com . 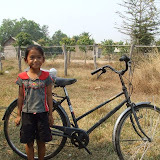 Your donation of $50 will provide a child with needed transportation for education.